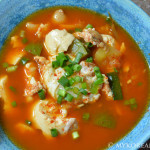 It’s not easy to find a dish in Korean cuisine that doesn’t utilize a lot of red pepper spices (gochugaru) and paste (gochujang). And it’s probably even harder to find one that doesn’t include any type of meat. 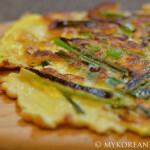 However, this old-school dish called gungjung tteokbokki, a dish literally meaning “royal court rice cakes,” meets both of those criteria albeit with a little bit of tweaking. This traditional dish originated far back when Korea had kingdoms and dynasties (specifically the Joseon Dynasty) long ago. 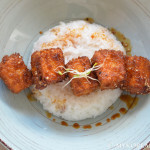 And surprisingly, there were no red pepper spices back then to work with, thus making the dish more savory than spicy. This dish (at least the tteokbokki, or spicy rice cakes) is ubiquitous in Korea, where you will find it on every street corner served on food carts usually run by hard-working ajummas who sell the spicy version along with other “fast food” Korean snacks. 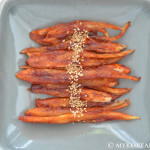 I’ve had this countless times for a quick eat so I know firsthand how much Koreans love this. Personally, this dish is very nostalgic and comforting, reminding me of the days past when things were simple and easy-going. With today’s successful attempt (the family said they loved it! 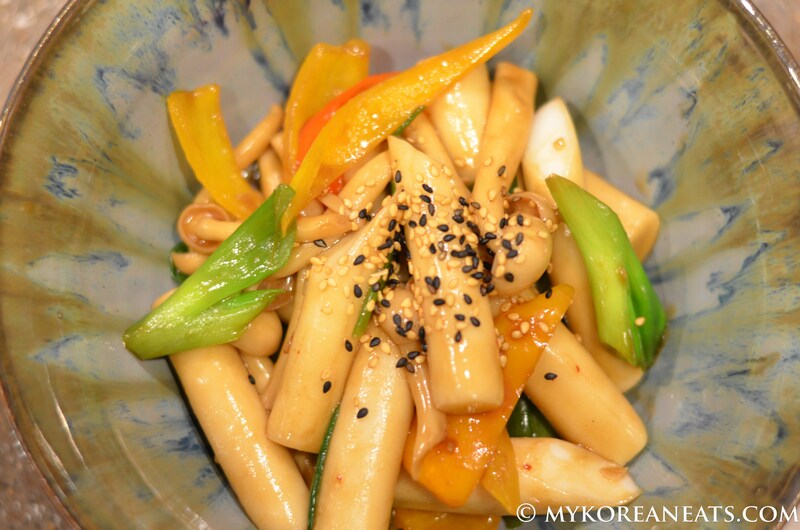 ), I will surely include more variations of tteokbokki in the future. 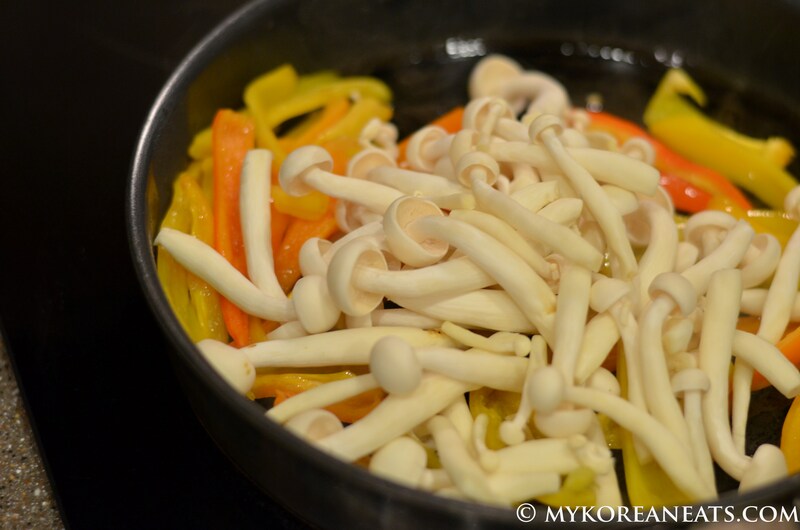 Here are the ingredients for my version: garaettteok, bell pepper varieties,green onions, and white beech mushrooms. 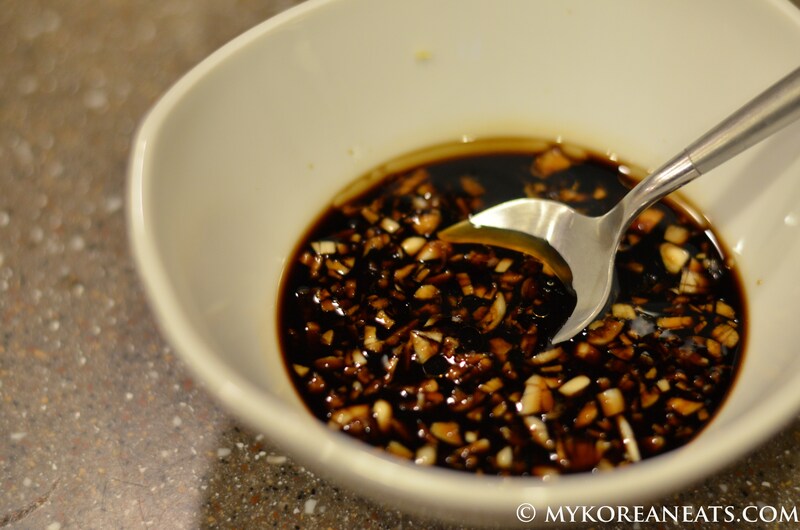 Combine the sauce ingredients beforehand, which consists of soy sauce, Mirin, sugar, minced garlic, and sesame oil. 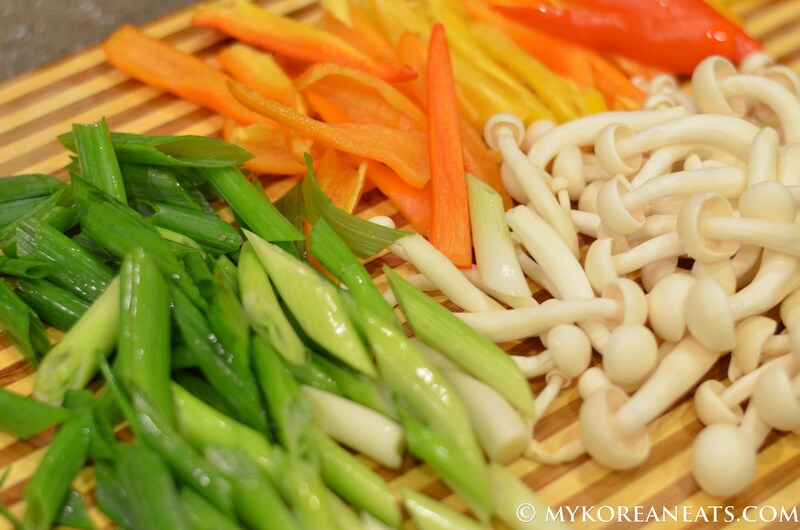 Clean the vegetables and chop into strips like this; mushrooms do not need to be chopped. Give the vegetables a nice saute for a few minutes in vegetable or olive oil. 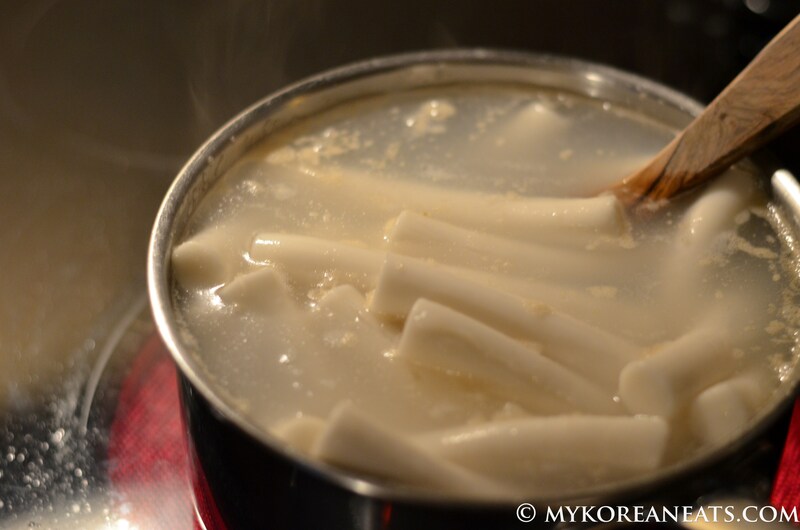 In a separate pot, soften the tteok by boiling for a few minutes until soft. If frozen, it should take slightly longer and make sure to soak in water for 20 minutes before use. Add them all together and let the flavors merry. Cook for a few minutes until thoroughly mixed. 1. 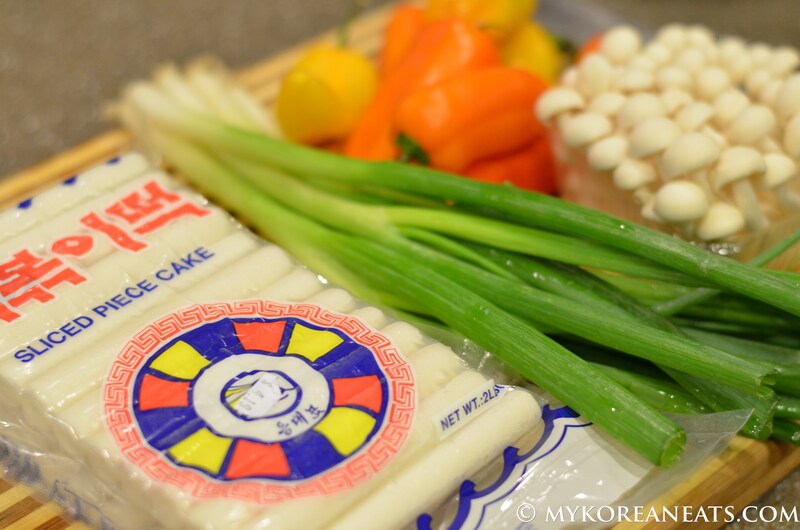 Cook tteok (rice cake) according to package directions. If ready for use, boiling in water for a few minutes will do the trick. If frozen, set out and let thaw for at least 20 minutes or soak in water for 10 minutes. 2. Meanwhile, clean the vegetables accordingly, then cut the vegetables into 2-inch strips. Mushrooms can be pulled individually by hand; set aside. Prepare the sauce ingredients in a mixing bowl; set aside. 3. In a non-stick pan, bring 1 tbsp olive oil to medium-high heat, then sauté the bell peppers and mushrooms, 3 minutes. 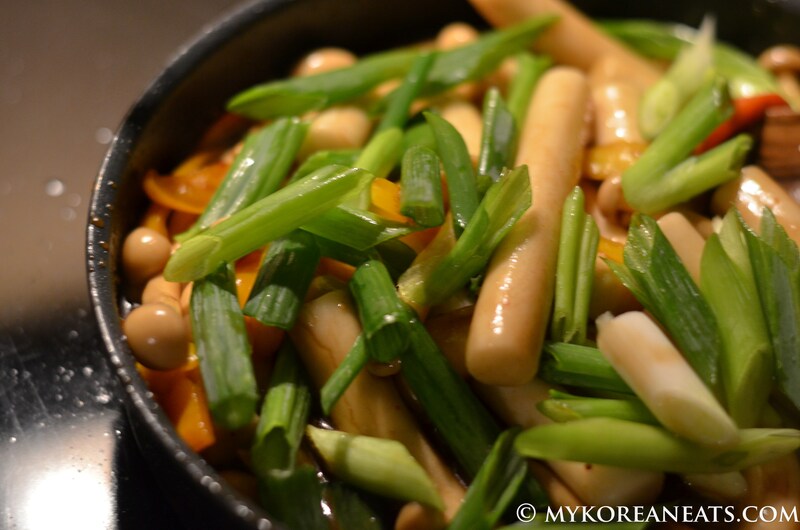 Add in tteok and green onions, cook another 3~5 minutes or until the sauce slightly thickens. 4. Sample the sauce and adjust accordingly. 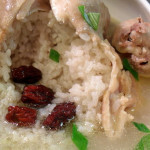 Serve hot with rice and other side dishes.